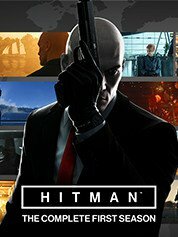 Welcome to the world of contract killings, where you - Agent 47, the best in the business. With the support of your unchanging curator Diana Bernvud and using the capabilities of the International Contract Agency you act on all continents of the world, unraveling the web of secret organization, which strands are pulled in the highest echelons of the world´s elite. 4. After activating the game will appear in the list of games and you can download it from Steam (at the time of the official release of the game in Steam). The installation process (download) takes about 15-50 minutes (depending on your internet channel). 4. After activation game appear in your library and you can install and play it!